For a second year, Miron hosted a “Be Green” video contest aimed at promoting environmental education in Wisconsin’s K-12 schools. School staff, teachers, and students were encouraged to prepare short video submissions explaining the sustainable actions they would implement in their classroom or school if they won the contest. At stake was a $1,918 cash prize in honor of the year Miron was founded and our 100-year anniversary, which we celebrated in 2018. Of the submissions received, a panel of Miron employees selected two co-winners: Arete Academy (Neenah High School) and Indian Hill School. 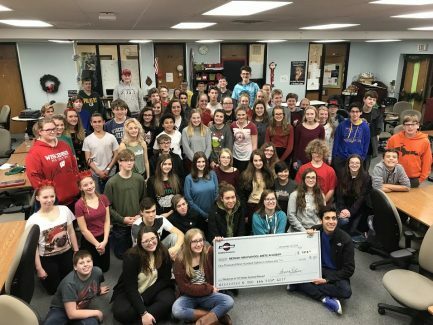 Neenah High School’s Arete Academy created a video highlighting the benefits of having hydroponic growing units in schools. 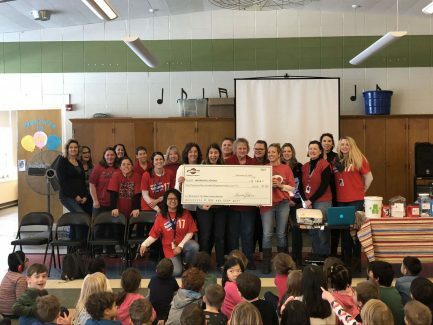 With the prize, the academy is now one step closer to achieving its goal of providing a hydroponics unit in each of the District’s nine elementary schools. The first unit will be placed at Tullar Elementary, where students will be taught about gardening and the vegetables they can grow using hydroponics. Indian Hill School created a video showcasing the school’s existing “Dragon Patch” outdoor education project and its benefits for their students and the community. With the prize, the school will be able to grow their outdoor education efforts highlighting the natural environment and the healthy foods grown in the community garden. Dedicating her entire career to sustainable practice, Theresa has worked on more than 50 projects seeking LEED® certification utilizing the LEED®-NC, LEED®-CI, LEED®-CS, LEED®-EBOM, and LEED® for Schools green building rating systems. She has successfully certified projects that have earned LEED® certification at all four award levels including: Certified, Silver, Gold and Platinum. Her portfolio of LEED® projects includes many “Wisconsin firsts” such as the first State of Wisconsin LEED® certified project, the first healthcare facility, the first LEED®-EBOM Schools, the first LEED® for Schools project and the first zero-net energy / carbon neutral project–the Aldo Leopold Legacy Center–the “greenest building on the planet” according to Rick Fedrizzi, President, CEO & Founding Chair, U.S. Green Building Council.